NAPERVILLE, Ill. — Emkay, the national fleet management solutions firm, have teamed up with four auctions within the Auction Management Solutions group of clients to raise money for JDRF, the leading global organization funding type 1 diabetes (T1D) research. 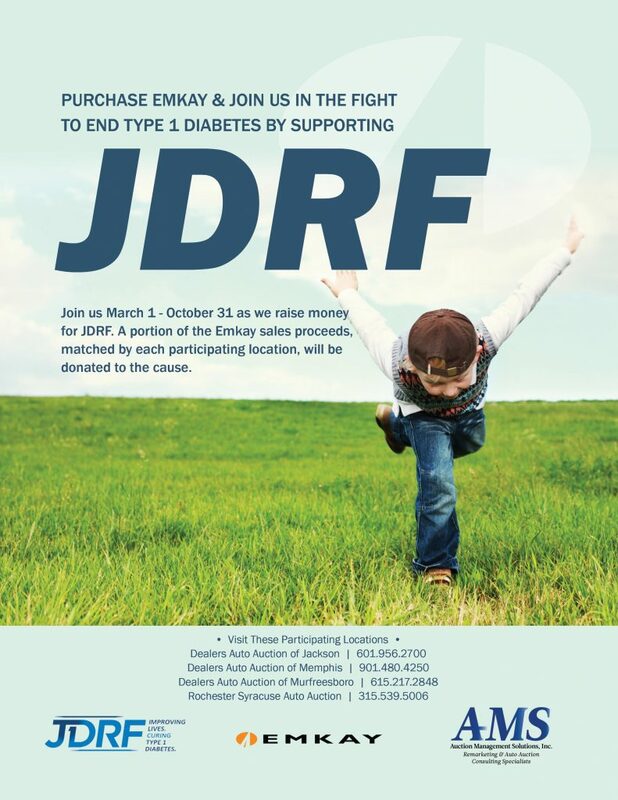 Proceeds from the sale of Emkay vehicles at Dealers Auto Auction of Jackson, Dealers Auto Auction of Memphis, Dealers Auto Auction of Murfreesboro, and Rochester Syracuse Auto Auction, between now and Oct. 31, 2018, will be donated to JDRF. For more information contact Tom Stewart at (630) 258-3708.